This course has been approved for 40 hours of certification/re-certification training credit by both the IAI Latent Print Certification Board and the IAI Tenprint Fingerprint Certification Board. NOTE: This is not a course on accreditation. Rather, this exciting five-day training will cover essential concepts such as the examination process, bias, error, error rates, ethical and professional obligations, and more! The Essential Quality Practices for Latent Print Examiners course serves the interest of furthering educational aspects of friction ridge analysis, primarily relating to the importance and necessity of quality control within the analysis and testimony process. The quality of testimony provided by a fingerprint analyst can go a long way into the acceptance of not only that particular analyst, but of the science itself. Not only is it important for an agency to have competent fingerprint analysts, but they must also be able to competently explain the science behind the examination. For this reason, it is a necessity to have a structured quality system in place for the training of anyone performing fingerprint analyses. This course is designed to provide participants with the quality management principles, techniques, tools, and skills for on-the-job applications useful in latent print disciplines, including auditing principles for potential or existing accreditation, techniques for the recognition and defense of bias, and successful curriculum vitae development. During this course, participants will learn comprehensive methods of quality control improvements for error reduction, including the establishment of recommended guidelines for reporting, documentation, and testimony to ensure examiner competency and proficiency. This forty-hour course is best suited for individuals currently employed in the fingerprint/latent print discipline. It is also applicable to Quality Managers, however named, and supervisory personnel who play a key role in establishing quality assurance/quality control policies and procedures. Upon successful completion of this course, the student will gain an understanding of the effects of human factors, as well as the causes and consequences of human error, in latent print analysis. Likewise, participants will gain an understanding of a variety of factors that may directly and indirectly affect latent print examiners, which will allow for the provision and establishment of quality control methods to defend against bias and other significant sources of error. Booking Info: Call the hotel or use the booking link to reserve your room. 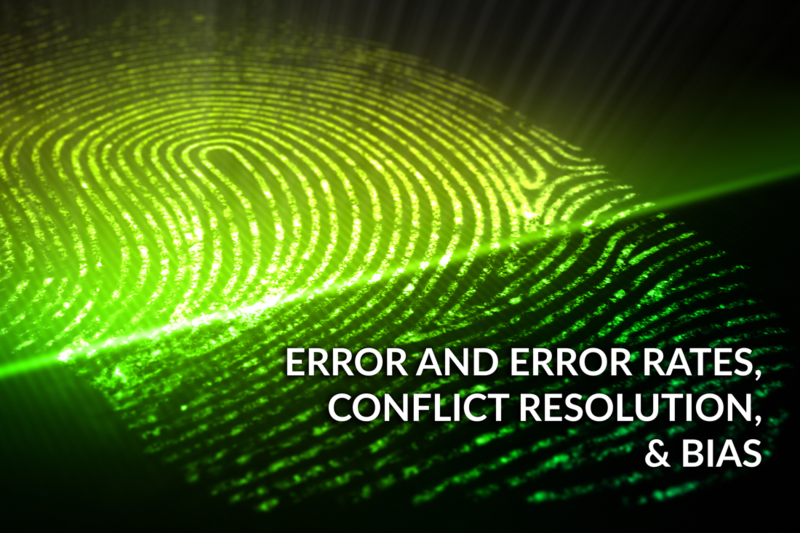 Be sure to mention Tri-Tech Forensics to obtain the special rate.